Do you expect S&P BSE Sensex to climb to 54,000 and CNX Nifty to cross 16,500 levels in the next three years? If these numbers looked farfetched to you, then investing in passive funds, popularly known as index funds, would be a futile exercise too. For India's leading indices to touch the levels mentioned above, they have to advance at 12% compounded annualised rate (CAGR) for the next three years. But 12% CAGR didn't look as unrealistic as 54,000 on Sensex, right? If we keep relying on the passively managed funds without realising this arithmetic, how would we be able to satisfy our goals? Nonetheless, the fad of passively managed equity Exchange Traded Funds (ETFs) is catching up very fast in India. According to AMFI (Association of Mutual Funds in India) data, equity ETFs account for approximately 5% of the industry's total Assets Under Management (AUM). With its AUM of Rs 46,125, SBI ETF Nifty 50 has emerged as India's largest fund. It makes up 41% of total equity ETF AUM. The underperformance of actively managed equity mutual funds over the last year has paved the way for passively managed funds. An increasing number of personal finance columnists, business journos, investment mentors, and self-proclaimed experts are batting for index funds nowadays. The debate is whether index funds should form a part of your core portfolio or not? Rather, do you really need them? Academicians refer to simplicity, cost-effectiveness, and very long period performance of indices (say for 15-20 years) to highlight the benefits of index funds. But do you agree you have some medium-term goals as well, which are to be satisfied in the next 5-7 years? If you want to save on costs associated with investing, prefer direct plans over regular plans. To make investing simple, you stop tracking markets and focus solely on your financial goals and follow your personalised asset allocation meticulously. And importantly, to generate superior returns follow a right investment strategy, chose mutual fund schemes wisely and invest through Systematic Investment Plans (SIPs). 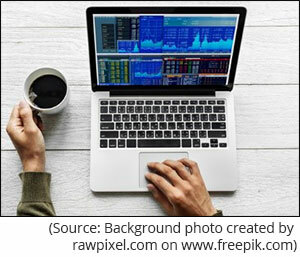 In fact, PersonalFN recently did a comprehensive study of 164 mutual funds to understand how SIPs started in various funds five years ago performed at the beginning of March 2019. 108 outperformed S&P BSE 500 index. In other words, 66% actively managed funds have generated better returns as compared to those generated by one of the most diversified stock indices in India. 41 schemes have generated double-digit returns. In other words, just one in four schemes has generated double-digit returns. The best performing scheme has generated a 16.2% compounded annualised return. The worst performing scheme has generated just 1.9% compounded annualised returns. Mid-cap funds and small-cap funds dominated the top-10 slots. Interestingly, they dominated bottom-10 slots as well. On a positive note, none of the SIPs generated negative returns. Want to make the most of your investments in actively managed funds? Adopt the Core and Satellite strategy. Core and Satellite investing is a time-tested strategy to build your investment portfolio. For the mutual fund investors, the 'core portfolio' should consist of large-cap, multi-cap, and value funds, and the 'satellite portfolio' should include mid-and-small cap funds and opportunities style funds. Why follow the Core and Satellite approach? PersonalFN believes core holdings should form 60% of your mutual fund portfolio and the rest 40% should consist of satellite holdings. Weightage of each portfolio constituents in both 'Core' and 'Satellite' categories can make a huge difference in the end. What matters most is the art of cleverly structuring the portfolio by assigning weightages to each category of mutual funds and the schemes picked for the portfolio. Unless you monitor your holdings and recalibrate the weights as per the market dynamics, especially for the 'Satellite' part of the portfolio, you may not derive the real benefits of the 'Core and Satellite' approach. The selected funds should be amongst the top scorers in their respective categories. The portfolio should be built with a time horizon of at least five years. It should be diversified across investment style and fund management. Each fund should be true to its investment style and mandate. They should be managed by experienced and competent fund managers and belong to fund houses that have well-defined investment systems and processes in place. Each fund should have seen outperformance over at least three market cycles. The portfolio should contain an adequate number of schemes in the right proportion. In short, it should carry the most optimum allocation to each scheme and investment style. The number of schemes in your portfolio must be limited to seven. Not more than five schemes should be managed by the same fund manager. Don't get swayed by the pre-election market rally, but at the same time don't even sit on cash and merely be a watcher of the rally. Let the 'Core' part of your portfolio offer you stability; and let the 'Satellite' part accelerate your returns since the markets are moving up. The Mid and Small cap funds space has become an interesting place to be. That said, whether in an election year or otherwise, core and satellite portfolio can help you take advantage of any market condition. Creating a mutual fund portfolio following Core and Satellite strategy isn't impossible for you, but it requires a different level of skill set. Also, you will have to dedicate time to do a thorough analysis. Equitymaster requests your view! Post a comment on "Why Index Funds May Not Be An Ideal Bet For Your Core Portfolio". Click here!